Even when we’re offline, we all want to be unique. We have our own styles of clothes, jewellery, accessories, music that we prefer, music that we hate. We have our favourite film directors, novel authors, social networks, football teams, hobbies, pastimes and little eccentricities that make us who we are. We all have our job roles to perform – and they go a long way to defining our identity, too. I’m a writer, my partner is a hairdresser, my best friend owns a bus company, my father was a teacher, and my uncle is a farmer. My goodness, some people even prefer Pepsi to Diet Coke – but not everyone can be as cool as me. Having our own style, preferences and interests is what defines us as individual people. If we were brands, then we’d hope that we would be recognised by our look, our attitude, and our general message, as much as we would be for the actual occupations that employ us. Indeed, it’s almost as if we try and brand ourselves on social media, for we are aware now that this is 2015, and a huge part of our identities now reside online, and, as such, we try and define ourselves on these platforms as much as we do in the physical world. None of us would like to think that we’re simply a carbon copy of someone else. And of course, none of us truly are. Even those that follow certain fashions or subcultures with almost religious fervour – goths, hippies, mods, cons and chavs – all bring something original to the style that they choose to inhabit. But there seems to be a little reluctance – or rather a little nervousness – when it comes to thinking that either someone, or, in the case of website development, something is simply a rip off of something else. Indeed, when people hear the words ‘template design’, they can often fear that what they will be getting is something that may as well have come off an automated package and processed machine, and will just look like thousands if not millions of other websites that are out there already, which have been built using the same template. But the reality is that this is simply nonsense. Using a template does not mean for an instance that what you will be getting will be exactly the same as anything else that’s already out there, and a good web developer will be able to use the template as merely a guiding framework, upon which literally anything can be fashioned and built. 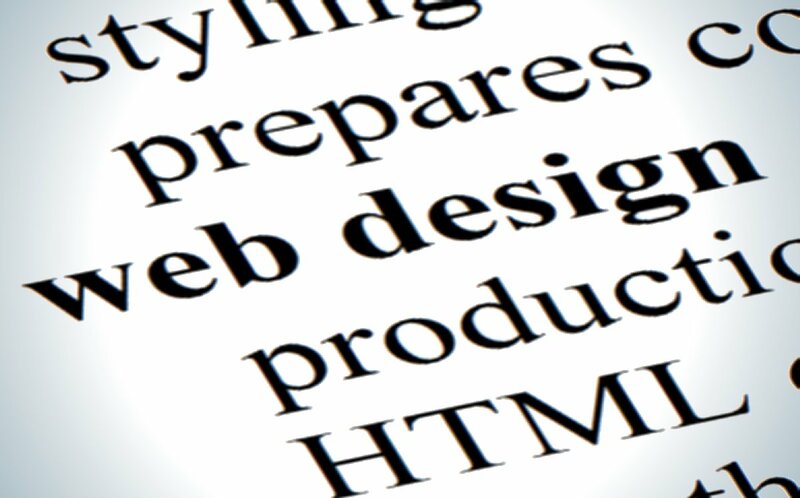 Developing websites, either from scratch or from a template, requires an awful lot of skill. And, just because the ‘rules’ are essentially the same when a template is used, it doesn’t mean that the game is always played in the same way. I mean, the rules are always the same for every game of chess, snooker or tennis that ever gets played, but the differences in performance from any 2 different players can be staggering. Tim Henman and Roger Federer. Steve Davis and Ronnie O’Sullivan. Bobby Fischer and Gaioz Nigalidze. All of these players of all of these games use the rules of the game as a template, but what they produce on the chessboard, snooker table or tennis court is anything but a carbon copy of one another. And the same can be said for using templates to build a website. Developers are artists. We don’t mind calling ourselves that, and in fact we’re proud of it. When we use a template, this is merely our canvass, upon which we can paint whatever it is our clients want. But, when we build a bespoke site from scratch, we are also building the canvass. Some clients prefer this, others are quite rightly happy to see a template being used as they can then choose on a style from a catalogue and end up with the one that they want. I wanted to argue at length about the uniqueness that it is possible to achieve by using templates at the start of this article, simply because I felt it important to allay the most common fears that people associate with such a term. I hope that I’ve managed to convince you that they are nonsense (provided you have a good web developer) – but, even so, there are pros and cons to this approach, which I’d like to highlight for you now. Price: If you use a template, then you will undoubtedly save money. Templates have been designed to be sold in large numbers, and the sales model that is used reflects this. Indeed, you could even use a template and build the whole website yourself without the need to have any knowledge at all of coding. However, it will be best practice to hire a developer to take the template to the next level. Indeed, without any development skills, if you build your site yourself using a template, then this may very well result in your design looking similar to an awful lot of other websites that are out there that have been thrown together by amateurs. Great Designs: Such is the competitive market now for providing templates that there currently exists an extensive range of beautiful designs that are all customisable to suit your brand. If you think that using a template means that you have to sacrifice on quality of finish, then think again, as templates are just as stunning – if not even more so in a lot of cases – than anything that has been bespoke designed. User Friendly: Templates, by necessity, are built with the purpose of pleasing as many people as possible. This means that they are all designed intuitively – which is a good thing. User experience (UX) is one of the most important things that needs to be taken into consideration with every website. As internet users, we all expect to find the navigation bar in a certain place (i.e. the top of the page), where to find the contact form, the About Us page, and the sales catalogue. When designing something bespoke, it can be tempting to deviate from these expectations. Although this will give the sense of uniqueness about the site, your visitors will simply get lost and frustrated, and this ultimately results in a bad UX, which is extremely detrimental for customer retention rates. Limitations: As intuitive, user-friendly and adaptable as templates are, you still cannot escape the fact that there will be certain limitations to what they can achieve, even with a pro developer on board. The words “fully customisable” are plastered over a lot of templates, but this is rarely the whole truth (which is usually found in the small print). There will actually be a limit as to what you can change and customise. As your business grows, you may want to build upon your existing site, and it may be that in a few years down the line when this happens that you become a little unstuck with the limitations of the template. SEO: If you decide on an old template, then it’s possible that they could be database driven, which means that search engines might not recognise them as much as they do a bespoke site. Similar Designs: Ok, I know I harped on extensively at the start of this blog about how using a template doesn’t mean that your site will end up looking the same or similar to others – however, unless you ‘dress up’ your site, i.e. use the template as a sort of frame on which you hang your very own unique content, then the chances are quite high that it may clash with others that are out there. Whatever you do, take a look at your competitors’ sites – and then make sure that you choose a different template. In our next blog we will be discussing in detail the pros and cons of bespoke website designs, so make sure you come back to check it out.